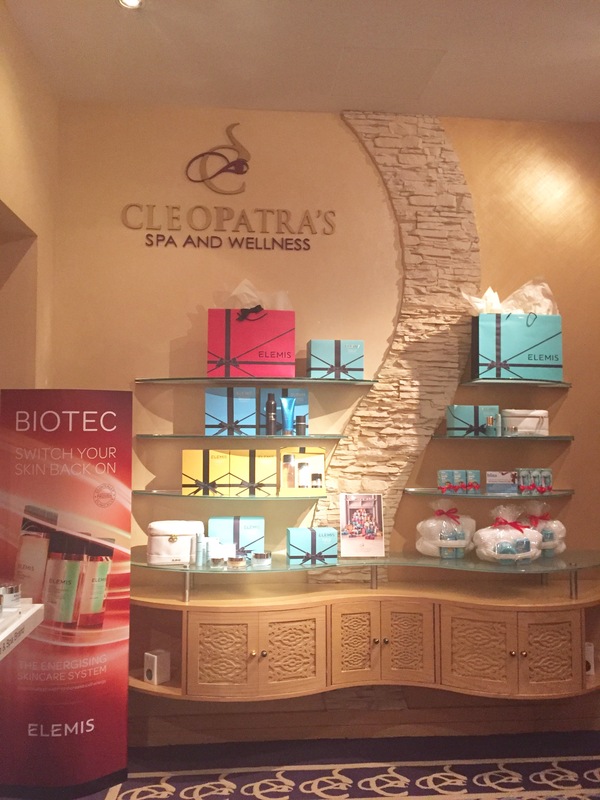 It was my first time at Cleopatra’s Spa, and as far as first impressions go, I was blown away. 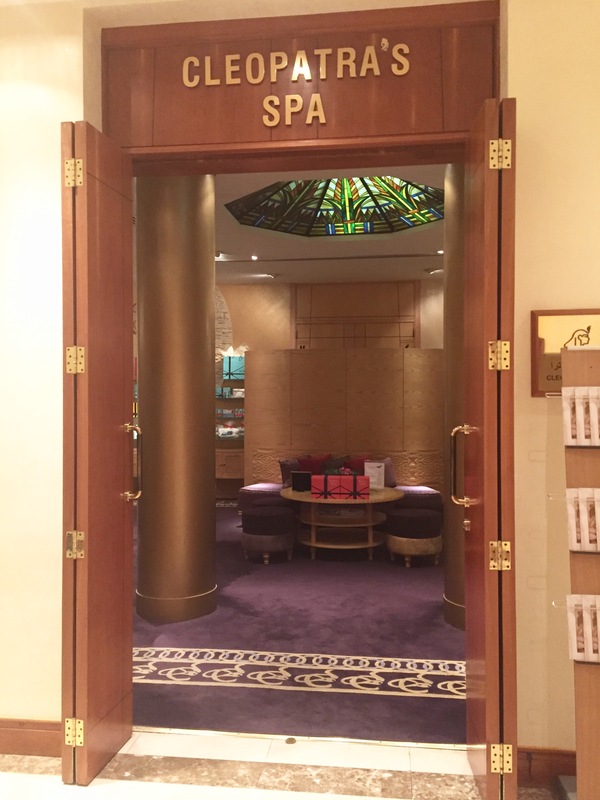 The scale of the Beauty and Wellness Spa is HUGE. After checking in at the reception, I was offered some herbal tea and asked to fill in a few details about myself. Once the formalities were over with, I was escorted inside into what seemed like a maze, greeted at every corner by a staff member. I was then given a robe to change into, super soft may I add, and asked to store away my personal belongings. Before the treatment began, I had a short skin consultation with the lovely Facialist herself, pinpointing my skin type and therefore which products would be best for my skin. This took place in a very calm, luxuriously decorated room with seating, as pictured above. (Apologies for the grainy photos, as it was quite dimly lit.) 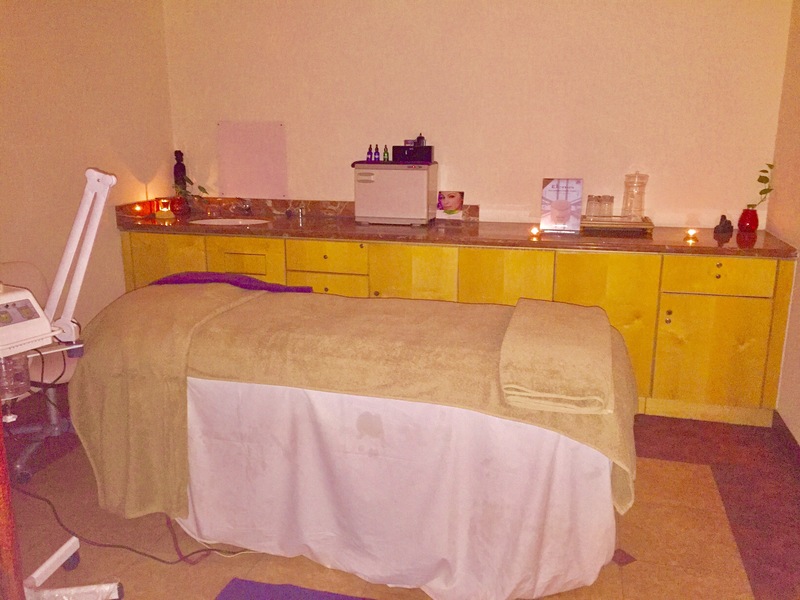 In fact, the majority of treatment spaces were dimly lit with soft music playing, creating the perfect ambiance within the spa. After a few more corridors and twists and turns (honestly, the place is seriously huge! ), we finally came to the prepared treatment room. Again, it was dimly lit with candles and yellow lighting, with a backdrop of soft calming music. The fact that the rooms are so far and wide apart meant that no other sound could penetrate the room, helping to seclude oneself from the outside world and the noise. The Elemis Superfood Facial is approximately 75 minutes long and includes cleansing, toning and exfoliating the face. The Facialist first began by removing my makeup and applying a cleansing balm. My face was exfoliated and after this there was steaming to open my pores. Then came the toughest part. Extraction. This is the most dreaded part for me when it comes to facials because…well..it hurts! More so because I have a nose packed with blackheads and offers quite the workout when trying to extract them all. The lovely facialist did warn me it would hurt before beginning, which I appreciated, and actually made a quick and thorough job of it. I was probably dreading it more in my head, whereas the reality wasn’t as painful and much quicker! Phew! The rest of it was dreamy and ever so relaxing! Two face masks were applied one after the other, one cold cream and one peel off, both of which reduce wrinkles, fine lines and deeply cleanse the face. Whilst the masks did their job, I was treated to face, shoulder, head and hand massages. The back of my neck is normally very tense so it felt good to have that all loosened up. I was floating by the end. Due to my skin consultation which derived that I had dry skin, moisturising Elemis products were used to hydrate my skin. The facialist was very thorough, taking her time, and letting me know what she was doing, without talking too much. As with all facials, I was advised not to apply any products or rinse my face for at least 4 hours after the facial so that the products applied on my skin had time to penetrate and do their magic. As lovely as the entire treatment was, the thing I am probably most impressed with is the fact that the massage beds are automated and … wait for it … Heated! No freezing legs as the facial went on and on, as I have experienced on previous occasions. 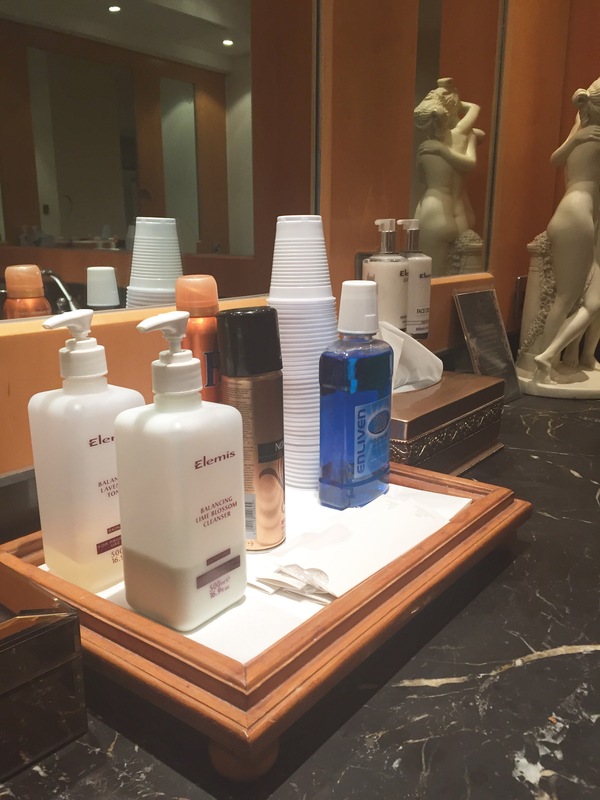 It’s the tiny details that matter and due to such details ensuring comfort and the right ambiance, I fell in love with Cleopatra’s Spa. 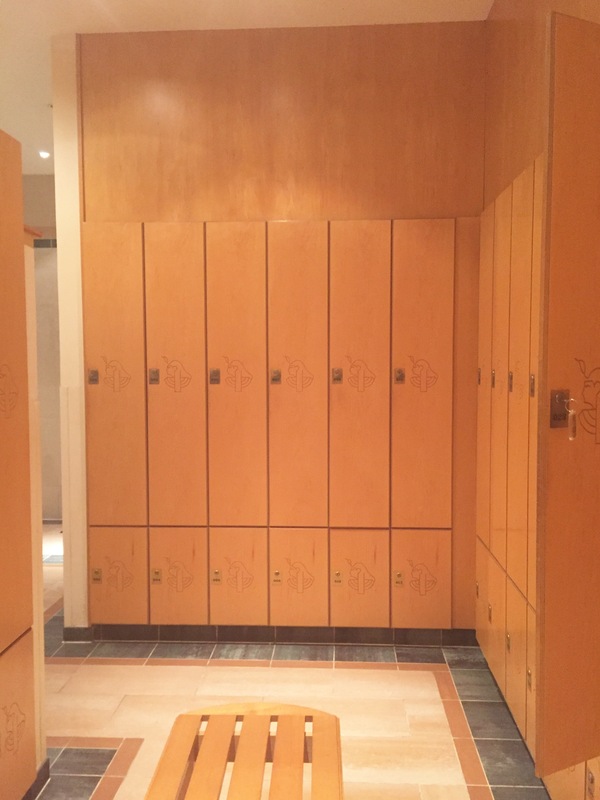 As I left to get ready, I took a peak into the pool and sauna areas that looked oh so inviting! I will most likely be back to try them out. At a cost of AED 605, the Elemis Superfood Facial is on the pricey side, however the attention and care throughout the facial does the price justice. Also, what you are paying for is not just the facial itself, but the excellent service and access to pool area prior to your treatment which is included. If this facial is too heavy on the pocket, there are also a range of other Elemis facials, both hands on and biotec facials, that may be better suited to your needs and budget, so do have a look through all the options available. The results after my facial? I can truly say my skin felt so light, non greasy, and smoother than it has been in a long time. Thanks to the thorough extraction, all the little bumps on my skin were gone, and even two days after the facial, I caught myself stroking my cheeks to find them still supple and so smooth. After facials, it is often very normal to get a breakout as all the impurities deep within the skin are brought onto the surface. I was very much expecting this, though luckily for me there wasn’t much of a breakout on my face post facial. The service was excellent and I found the staff to be very hospitable. The spa was incredibly clean and looked picture perfect. You will be happy to know that there is also a crèche for children near by if you are looking for a pamper session but don’t have a child minder. Crèche Out offers on demand childcare and is located just above Cleopatra’s Spa so that you can relax whilst your child is entertained at the same time. The Elemis Superfood Pro Radiance Facial is also available in the following spas: Heavenly Spa at The Westin and Anantara Spa at The Palm. Prices do vary so check before booking. 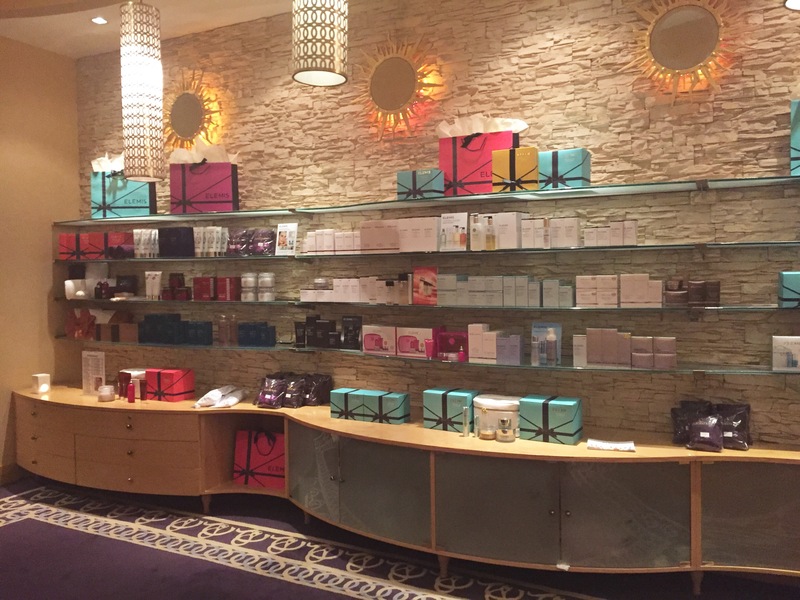 To find out more about Elemis Skincare products,check their website. 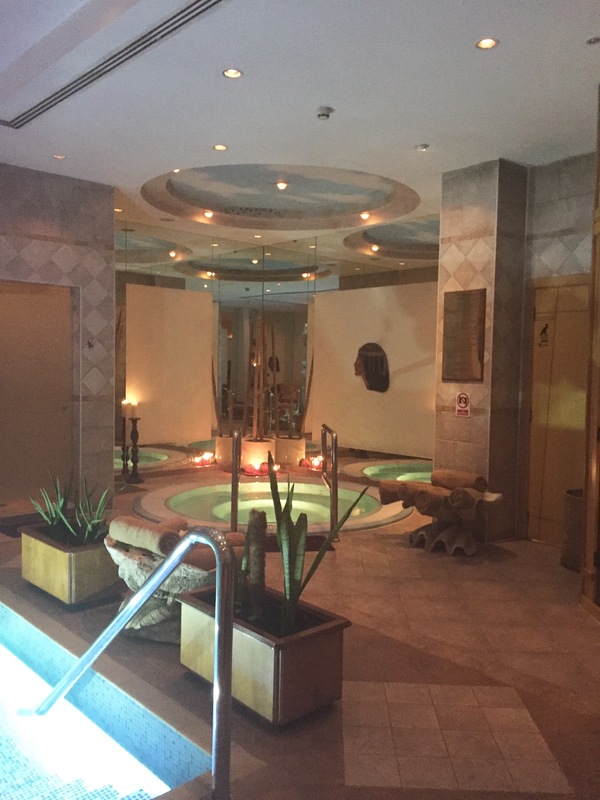 For more information on how you can book a treatment at Cleopatra’s Spa in Wafi, head to this website. 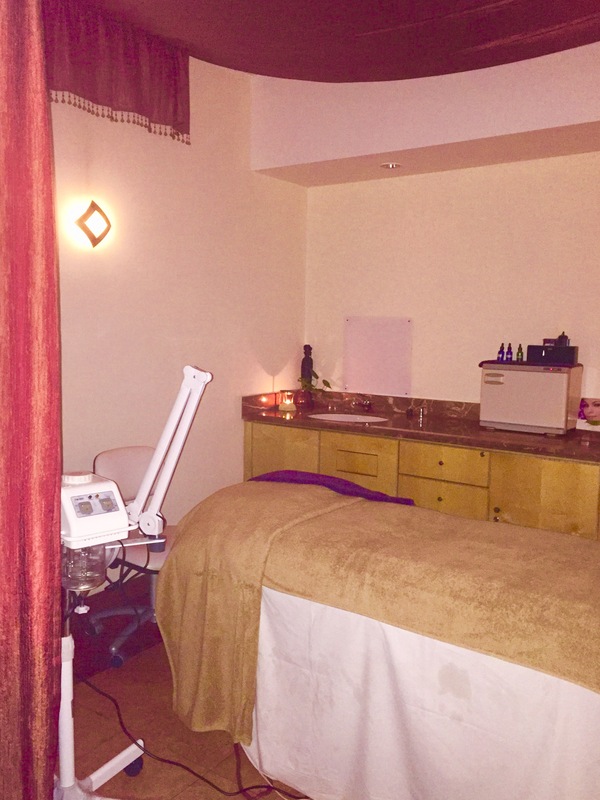 It includes all you need to know about their working hours as well as the different spa treatments they offer including Massages, Cupping (Hijama) Therapy and Ayurvedic Treatments. Note: I was invited to review the Elemis Superfood Facial, however all views and opinions expressed above are honest and solely my own. I say go ahead and book in! I think as mothers we are often so worked up about taking care of our little ones, that in the process we forget we need some pampering too!